Situated in the New Forest the Bexley Down’s Syndrome Group’s caravan accommodates up to 8 people. The caravan has one double and two single bedrooms, is double-glazed and centrally heated, there is also an electric fire. It has a well-equipped kitchen area complete with fridge freezer, oven, microwave, toaster and kettle. It has a shower room and separate WC. The lounge area is equipped with Freeview TV and DVD player together with a selection of DVDs. There is also a wide selection of puzzles and games for both adults and children. 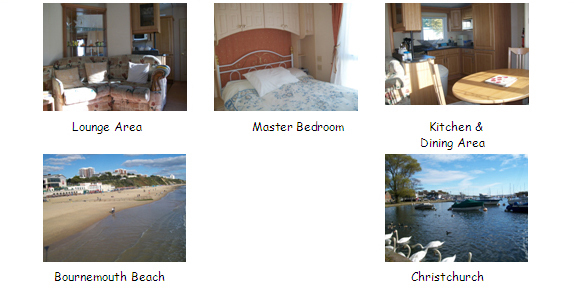 The caravan is based on a well-maintained site, not far from Brockenhurst and New Milton. The site offers a outdoor swimming pool with fountains plus an indoor heated swimming pool complete with a slide, a sauna and a Jacuzzi, there is also a nine hole golf course, playground and day-time and evening entertainment for children and their parents, as well as the camp shop and laundry facilities.